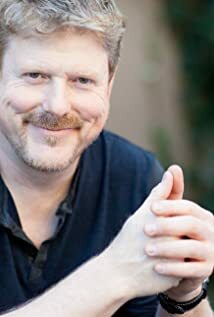 How much of John DiMaggio's work have you seen? Futurama Bender / Sal / URL / Elzar / Randy Munchnik / Igner / Additional Voices / Mr. Panucci / Joey Mousepad / Randy / Dandy Jim / Flexo / The Chain Smoker / Yancy Fry Sr. / Barbados Slim / Curly Joe / Gus's Friend / Hermaphrobot / Human Friend / Jimmy / Noticeably F.A.T. / Robot Santa / Additional vOICES / Adult Chatroom Bouncer / Alien Disguised as Human / Angus #4 / Animatronic Whalers / Announcer / Antarian #2 / Antonio Calculon, Jr. (malfunctioning) / Audience Member / Australian Laborer / Australian Man / Bailiff / Beach Bully / Bend-Aid Announcer / Bendee Boo / Bender 1 / Bender 1729 / Bender A / Bender Clones / Bender's Ringtone / Bike Thief / Billy West / Blip Gangsta / Boy at Orphanarium / Broadcaster / Broken Robot #4 / Bumpkin Soldier / Bureaucrat / Butcher Bot / Captain Ahab / Car Smasher #1 / Carnival Ride Professor / Cashier / Centipede Alien / Chet / Coilette / Colonel / Conspiracy Nut / Cool-o-Meter / Costume Contest Host / Crack Addict / Crewman / Cygnoid Man / Darth Ithead / Dog / Dummy #1 / Elves / Evans / Evil Brain-Bot / Extreme Toddler Wrestling Announcer / Fan / Fender / Frankie / French Man / G.I. Zapp Theme Singer / Garbly / Gay Man / General's Assistant / George Foreman's Head / Great Reveal-O / Greenhouse Gases / Guard / Henry Kissinger's Head / Hip Joint Janitor / Hippie #2 / Jack Johnson / Jack the Ripper / Jake the Dog / John Adams / John Jackson / Judge / Killbot #2 / Lyndon B. Johnson's Head / Maintenance Guy / Man Flung Out of Cube / Man at Cinema / Man in Commercial / Man in Crowd / Man in Line / Man in Resteraunt / Man in the Year 10 Million / Man with Broken Leg / Marquis of Mulberry / Midget Jockey / Miss Juanta / Muscular Street Racer / Nappster User / Nautilus / Nazi #3 / Nibblonian Chef / Norm / Not Evans / Oily / Orphan Crippler / Penguin Hunter / Pizza Box / Possum / Pre-Op Transformer / Q*bert / Repobot / Robo-Rooter / Robot Cellmate / Robot Chef / Robot Construction Worker / Robot Crowd / Robot Foreman / Robot Guards / Robot Janitor / Robot Playing Human / Robot from Berzerk / Rollerblader / Rutherford B. Hayes' Head / Security Guard / Sergeant / Shady Nurse / Solo Grunka Lunka #2 / Sound Effects 5000 / Space Bee #3 / Speed Racer / Suicidal Man / Super King / The Clear Cutter / The Space Pope / Thorias / Translator Machine / Transvestite / Underwater Landlord / Weight Loss Program Runner / Yancy Fry, Sr.